It’s me! I’m back! And I made a Broccoli Monster! And on the back – a fancy veggie tattoo. 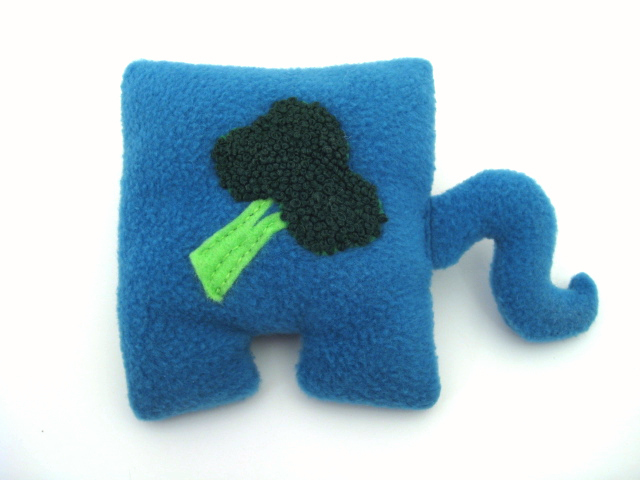 This little broccoli applique is made up of many many little french knots. Too many to count! What’s a french knot, you ask? The Purl Bee has an excellent tutorial. And another great one over at Sublime Stitching – two great sites for any lovers of embroidery. wow, French knots make such realistic broccoli! Imagine trying to sleep on a pillowcase embroidered with them, ugh. I love what you have been doing! I can’t hardly doing so many french knots [I can hardly do one myself!]. I love what you have been doing! I can’t hardly imagine doing so many french knots [I can hardly do one myself!]. Thanks, Morgen! 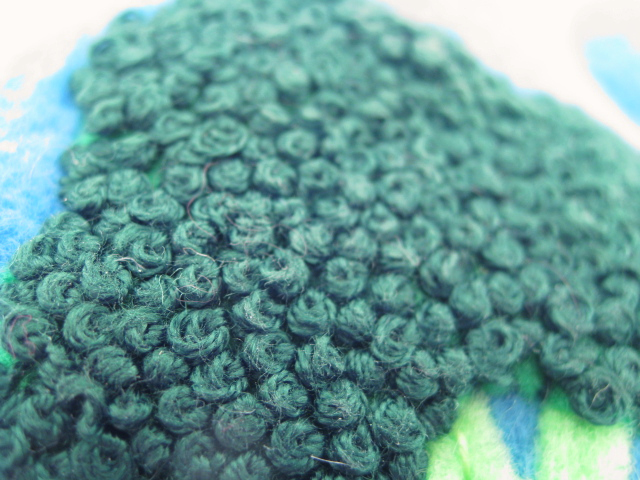 The French knots took forever – but you know I love to sew things that look like broccoli. HaHa! I like broccoli, too. Hint: I have the broccoli plush in my room! 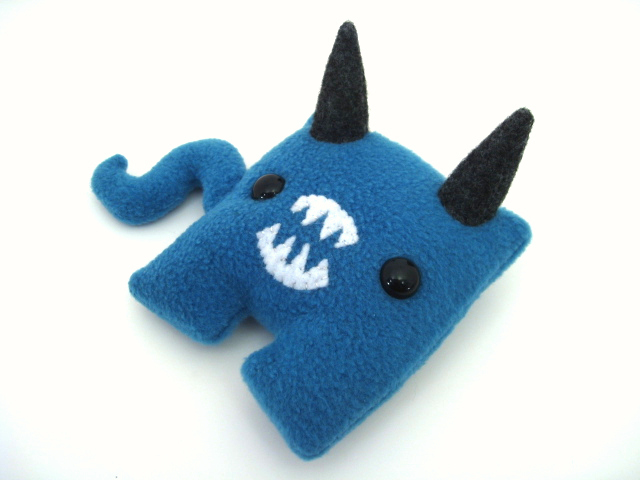 I am back to sewing again. Have you checked out threadbanger lately? Rob and Corinne left!!!!!!!!! I have been making zippered pouches that are approximately 10″ by 6″. I have made 4 of them so far. I have one that is turtle embroidered seersucker on the outside and is lined with plaid seersucker. i use it to hold my colored pencils. I recieved the monster yesterday! He is even more adorable in person! I so admire the french knots! THEY ARE AMAZING! So glad you like him! I hope it’s a Happy Birthday.